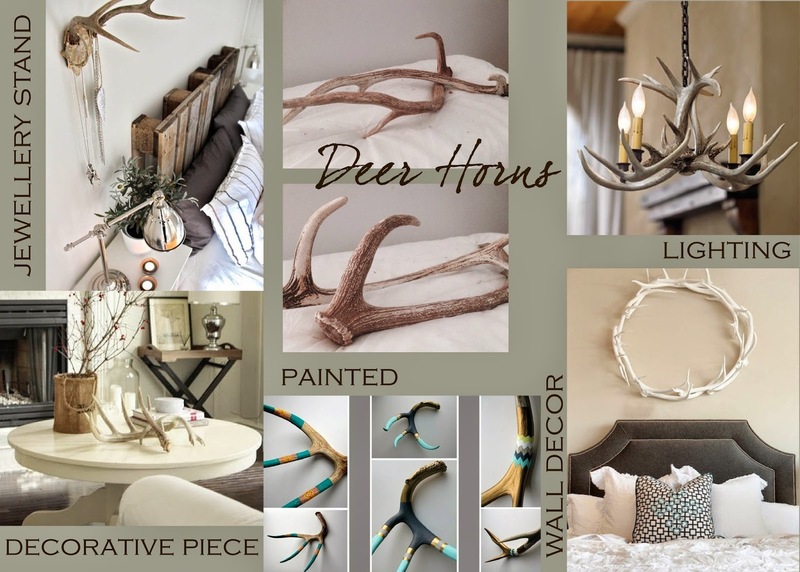 Jode Designs: Deer Horns Mood Board.. Deer Horns are natures eye candy.. They have such a peaceful calm feeling - much like the animal itself.. You can do so many things with deer horns, hang jewellery off them, place them as a decorative piece on a coffee table/buffet, paint them, make a light or a wreath for the wall.. There are a set of 2 Deer horns available for purchase from the Jode Designs shop for $79.00.. Enjoy..